Look at Bane and Batman having a chuckle together! They have unfinished business: being BFFs! Just chilling in their finery. 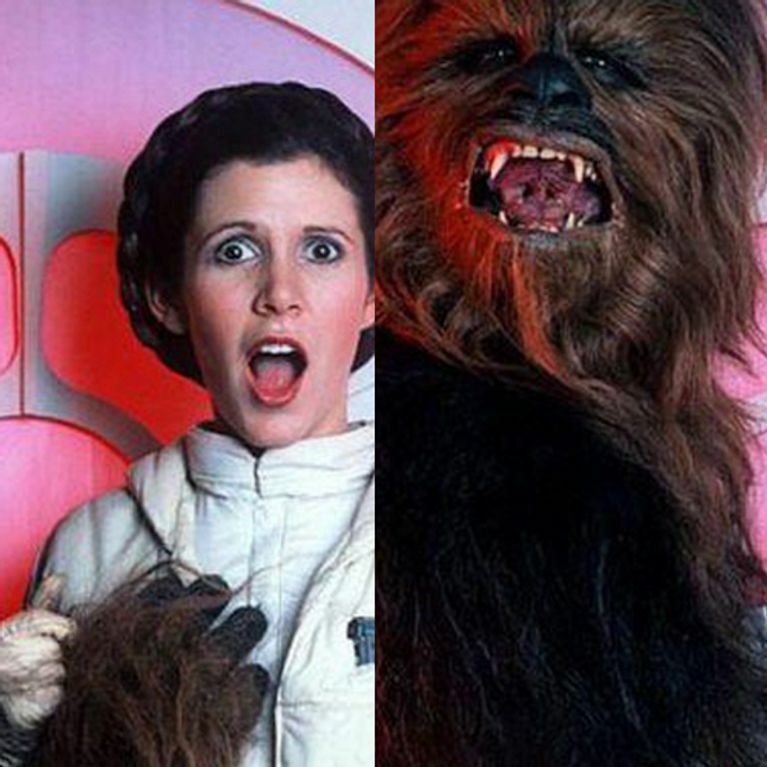 Chewbacca! How very dare you! Hannibal eating something that isn't people (progress). R2D2 settling down to a spot of lunch. Joss Whedon writing himself into the plot. Snape, Ron and Harry laughing together. Anyone really disturbed by this? Kermit and Miss Piggy with Yoda! Fantine with her cheeky coffee and coat! What happened to method acting Anne? The Lannister siblings getting along. Mental. Just some bantz before they resume fighting each other to the death. Daniel Craig and Judy Dench sharing a chuckle. Kate Winslet chilling in a paddling pool. This looks much cooler in the film. Fauns need to eat too! It looks more dramatic when he falls hundreds of feet and not just into a pile of mats. Bill Nighy, you usually look so friendly and warm! Just having fun in Mordor! What's your favourite behind-the-scenes moment? Tweet us @sofeminineUK! Orange Is The New Black Death: How Would You Make Your Favourite TV Show Historical?